Hello my lovely readers! March is here and in my mind that means two things: 1) Spring! 2) Birthday month! In all honesty I don't get too over excited about birthdays any more I just see them as an excuse to spend some time with my friends and this year we are going to the cinema to see Beauty and the Beast, so that's going to be fun. As it's my birthday month I thought I would do a little wish list, so let's get to it. OK so I want ALL of the Tony Moly Pokémon products, and I mean ALL of them but Squirtle is my fav Pokémon and I'm in the market for a new cleanser so I thought this would be the item I included on this list. A water bottle may seem a bit boring but oh my working in a school you need to drink gallons of water to survive, why is the heating ALWAYS on full blast? This one is so cute and I've had my eye on it for a while. This dress is so so pretty and looks like it would be perfect for Spring! I love ghost stories and creepy tales so I'm hoping for this book which contains 13 ghost stories from all over the world. 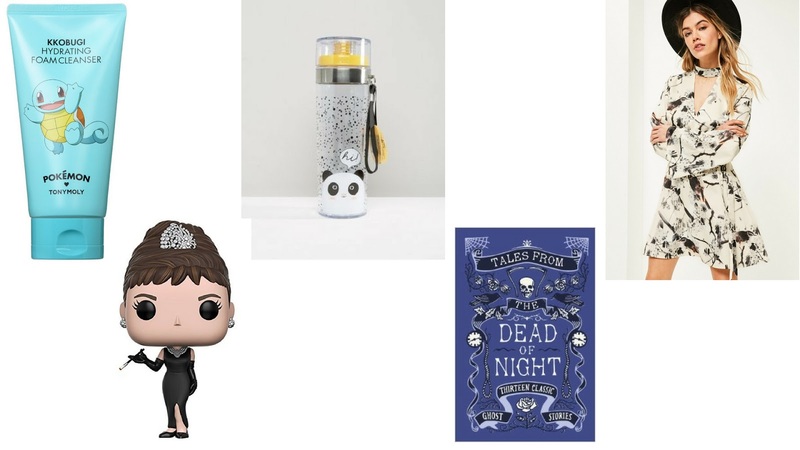 Breakfast at Tiffany's is one of my favourite films and Audrey Hepburn is my idol so as soon as I saw this pop figure I knew I would have to get it. If no one buys it for me for my birthday I will buy it for myself. I own way too many PJs already but I want these for Spring when it's warmer at night. Mr Burns was always my favourite Simpsons character (joint with Ralph) so I've fallen a bit in love with this makeup bag. I'm a huge fan of beauty sets and Ted Baker so this is a win win. I can't get enough of pins and this crystal ball one is so cute! OK so those are the items I'm currently after. I hope you enjoyed reading this wish list and maybe found something you want too. Do you like anything on this list? What are you lusting after this month? I,m glad you enjoyed it, thanks for stopping by! 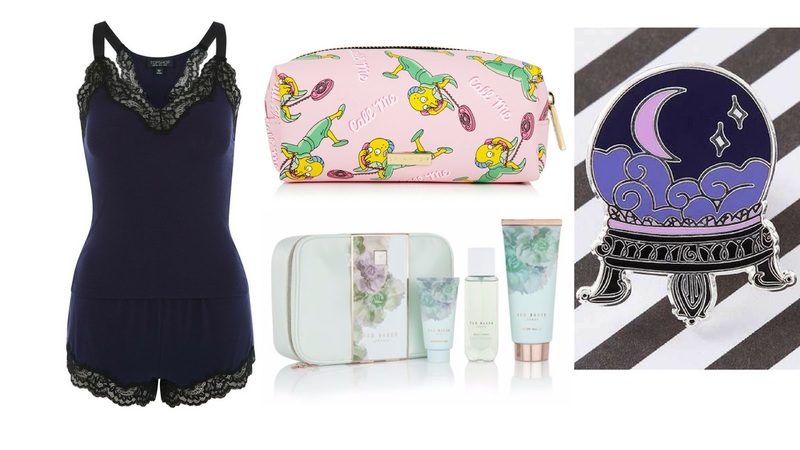 that squirtle cleanser is so cute, i'm doing work experience at punky pins and i love everything! Oh wow, what an amazing place to do work experience! Thanks for popping by! Haha sorry about that lovely. Thanks for popping in!